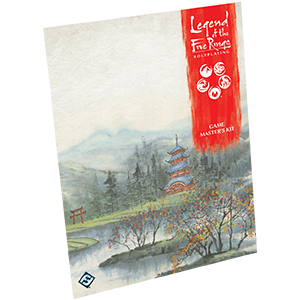 Fantasy Flight Games is proud to present the Legend of the Five Rings Roleplaying Game Master's Kit! The GM Kit includes both a beautiful screen that keeps the rules at your fingertips as well as a pre-made adventure in the mysterious Slow Tide Harbor. 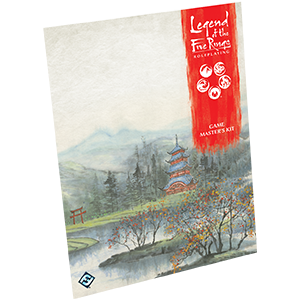 Guide your players into the world of Rokugan with style and ease with the Legend of the Five Rings Roleplaying Game Master's Kit!